Whenever Abbott attacks the ABC, red lights start to flash. Abbott is ideologically, and fanatically, opposed to the ABC. I am sure if you look long enough you will find something nice he said, but it was probably a back handed comment. He would claim it was a mis-quote. When he criticises Q&A for having a convicted terrorist in the audience, you need to stop and think about the rights or wrongs of the situation. You don’t need to just go along with the Liberal flow. Here are some points to consider. Let’s start with freedom of speech. The quote from Evelyn Beatrice Hall “I disagree with what you say but will defend to the death, your right to say it” is a good starting point. Have we reached a stage in Australia where some points of view can no longer be expressed? Is this some form of super political correctness? If I were to start my own religion and want converts to give me all their assets when they join, could I go on television and explain my new religion? Could I explain what I thought was wrong with the Catholic church? Could I say that I disagree with any legal entity that tries to stop me? Seems not any more. I may be seen as a raving loony but that should not stop me expressing my view. I may be seen as not respecting religious and political structures, but that is not a criminal offence. Protest marches for decades have shown disregard for religious and political norms. Zaky Mallah may have views outside the mainstream, but he still has a right to express them. Next we should consider the duty of the media. Does the media have the responsibility to suppress particular views? This is a different question to whether they choose to give media coverage to particular views. In some cases the answer is ‘Yes’. For example people who are under age and have been charged with a crime. People who give information to the press on a confidential basis. The media generally respects these traditional restrictions. The responsibilities in this regard are well understood. On the other hand, it is hard to find a general topic that the media should suppress through responsibility rather than taste or interest value. The answer to the charge of a lack of responsibility is that there seems nothing in what was broadcast in Q&A which breached the responsibility of the ABC. If someone holds the view that giving media coverage to Mallah is irresponsible, please also direct your criticism to The Australian for their article in 2012 or the Courier Mail. It is not often the ABC finds itself in such exalted company. The second part of the question relates to taste and public interest. Perhaps this was a gray area with Q&A but one could argue, it will help people understand the situation more if they can hear from a radical like Zaky Mallah and know how he sees the world. Be they right or wrong, until we listen to their point of view, we never understand where a person is coming from. Since the Abbott government has made such an issue of terrorism, is it not in the public interest to understand how a suspected terrorist thinks? We also need to consider the issue of damage. What harm did it do? Did we have riots in the street? Did radicalised Islamic youth flood the Internet with applications to join ISIS? Were there terror bombings around Australia? None of these. The most damage done was not a terrorist attack within Australia. It was a government attack on the ABC. So the accusation of inciting terrorism has no basis in fact. I have yet to hear one claim that the Q&A episode caused harm to a single Australian citizen. Next question. Is it better to publically discuss radical views with those who hold them, or shout them down? To my mind, it is better to get those views out in the open. If you try and suppress the views the people go underground. They coagulate with like minded souls who mutually reinforce one another. Their views only become stronger. These people are called radicals because their views are not part of mainstream society. They are far removed. Give them an opportunity to state their views, and hold a sensible discussion as to why others believe their views to be wrong. One conversation can rarely ‘de-radicalises’ someone. Many conversations may convince them to temper, or even alter, their opinions. 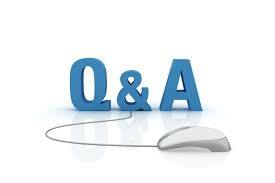 Finally, we have to consider the purpose of Q&A. Let me explain. The purpose of a news service is to make people aware of important events within their immediate sphere and secondly, in the wider world. The purpose of Four Corners is to bring to the attention of the public, situations that need more than 3 minutes to explain. But what of Q&A? I would suggest it is to gather diverse views on political and social issues, and debate those views live, and in public. If we consider the issue of terrorism, was not Mallah’s view one of those diverse views that should have been gathered and debated? There are a groups of people of people in society who hold such a view. If we are prepared to give airtime to the other end of the spectrum – people who say terrorists should have their citizenship removed without legal process – why is it wrong to give a voice to Mullah’s point of view? 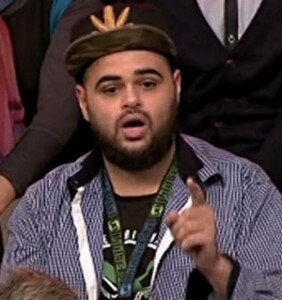 The government outrage is not about the right or wrong of Zaky Mallah appearing on Q&A. This is about fear. This is about terrorising the Australian electorate so all they want from a government is to be tough on terrorism. How big is the threat? Miniscule compared with industrial accidents, or the road toll, or death from alcohol and drugs. The risk is less than getting hit by a bus. More people have been killed in Australia by coward punches than by terrorists. What Abbott is trying to do is make people afraid. Afraid enough to pass sentence on any media organisation that dares to raise the subject without heaping praise on the government’s tough stance. Afraid enough to forgive the mess Abbott is making of most areas of government because he is the one who is tough on terrorism. Afraid enough to fill the newspapers with terrorist related headlines and push more important stories to page 10. As Mark Scott pointed out, the ABC is a public broadcaster, not a state broadcaster. It provides programs that appeal to the public, not necessarily support the state. If people don’t like a program they can stop watching it. Seems they still want to watch Q&A. I don’t hear of a ratings drop. If the purpose of Q&A is to gather diverse views on political and social issues, and debate those views live, when will Tony Abbott make an appearance. He seems to have taken an obsessive interest in the program of late. And yes. The red lights are shining bright.